Former DA Insider’s Guide to Harbor Justice Center, Newport Beach Court. Proven ways to beat DUI and criminal cases, judge info and Free resources. Here our former O.C. Prosecutor reviews defense strategies and everything you need to know about Harbor Justice Center. Over 2,300 people on average visit Harbor Justice Center every day for all kinds of matters including criminal, DUI, civil, traffic, minor offense and small claims matters. 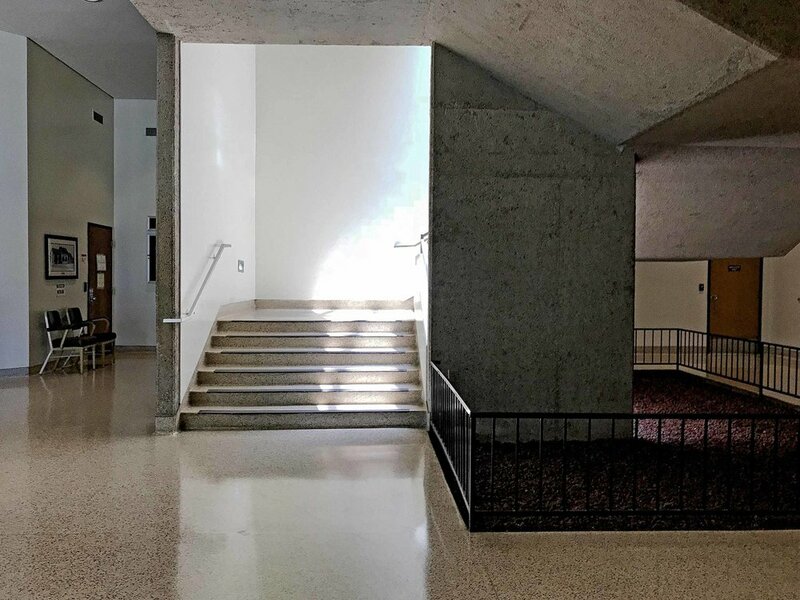 Built in 1967, the court is one of eight in the Orange County Superior Court system. Harbor Justice Center is Orange County’s busiest DUI court with only two other courts in the entire state processing more cases. How long does Harbor Justice Center take to process a case? There are many ways to win a DUI case. This thorough guide reviews the 20 best Orange County DUI defenses. You are innocent unless a DA proves guilt beyond a reasonable doubt. See the top defenses we use. The Newport Beach courthouse includes 14 courtrooms, an OC District Attorney office, traffic department, OC Sheriff office, jury duty assembly room, victim wellness assistance program, free childcare facility, Self-Help Center, victim assistance program and support services. There is ample free adjacent parking and many restaurant options nearby. Harbor Justice Center traffic cases can often be handled in the traffic service windows located in the outside courtyard entrance to HJC for faster access. Note: HJC offers one night court session per month from 4:00pm to 6:00pm on the 1st Tuesday of each month for traffic cases only. In HJC Suite 109, Window #18. Hours: 8:00am to 4:00 pm mon-thurs. Self-Help Center services include: workshops, procedural assistance with many legal matter, how to booklets, form packets and public computers with access to legal websites and easy to use document preparation software and SmartForms. Victim Advocates are available to provide crisis intervention services, emergency financial and resource assistance, support counseling, referral to and help in accessing community resources, support during criminal justice proceedings, assistance with Victim of Crime Compensation Claims processing, and other services as required by individual circumstances. Bi-lingual/bi-cultural advocates are available to work with Spanish and Vietnamese speaking clients and translation services are available for those individuals who speak other languages. These services are available at most Orange County Superior Court address locations. Harbor Justice Center Newport Beach serves the south Orange County cities of Aliso Viejo, Balboa Island, Capistrano Beach, Coto de Caza, Corona del Mar, Dana Point, Irvine, John Wayne Airport, Laguna Beach, Laguna Hills, Laguna Niguel, Laguna Woods, Lake Forest, Lido Isle, Mission Viejo, Newport Beach, Rancho Santa Margarita, San Clemente, San Juan Capistrano, Santa Ana Heights and Trabuco Canyon. If you have been arrested for a DUI or other criminal charge, you will be provided an arraignment court date under Orange County Superior Court rules. The arraignment is the first time a defendant appears in the Harbor Justice Center Newport Beach court following an arrest. At the arraignment, the judge tells the defendant what the charges are and what their rights are. This is the defendant's first opportunity to plead guilty, not guilty, or nolo contendre (no contest). No contest means the defendant does not contest the charge, which has the same effect as a guilty plea, except the conviction generally cannot be used against the defendant in a civil lawsuit. Judge Brett London only does arraignments upstairs in Department H-8 for misdemeanors and other charges. After arraignment, your case will go to pretrial where you will be given information on your rights and the next steps. If you hire an attorney, they can appear for you at misdemeanor arraignments. Chudnovsky Law's Newport Beach DUI lawyer can handle all Newport courthouse appearances for you. Felony matters such as multiple offender DUI cases are arraigned upstairs in Department H-7 by judge Gregory Jones. After arraignment in misdemeanor cases, prosecution and your criminal defense lawyer will exchange discovery information. Defendants may be restricted from viewing certain prosecutor information in order to protect witnesses, but their attorneys usually are not. This is one example as to why it is critical to be represented by a defense lawyer. During the pretrial period, both sides may file pretrial motions, the defendant can modify their plea and all parties discuss how to resolve the case without going to trial. Department H-1 on the second floor functions as the control center for misdemeanor cases where pretrials and appearances occur. After arraignment in felony cases, judge Gregory Jones will hold a preliminary hearing in Department H-7 where he decides if there is enough evidence that the defendant committed the crime to make the defendant have to appear for trial. If the judge decides there is enough evidence, the prosecutor will make a filing of "the Information." 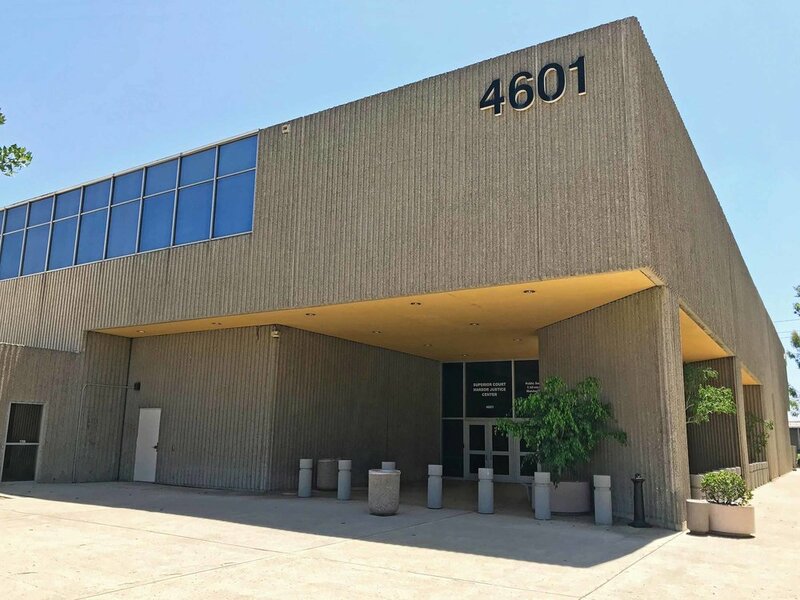 After a preliminary hearing, felony cases are transferred to the 11 story Central Justice Center, Santa Ana courthouse Department C-5 to be arraigned a second time based on "the Information" filed by the Orange County District Attorney. At that time, the defendant will enter a plea and proceed to trial. Department C-5 will direct which court in Orange County will be home for the jury trial. After arraignment in felony cases, prosecution and your criminal defense lawyer will exchange discovery information. Defendants may be restricted from viewing certain prosecutor information to protect witnesses. During the pretrial period, both sides may file pretrial motions, the defendant can modify their plea and all parties discuss how to resolve the case without going to trial. Under California law, everyone accused of a crime is presumed to be innocent until they are convicted, either by being proved guilty at a trial or by pleading guilty before trial. The prosecutor has the burden of proof and must provide proof of guilt beyond a reasonable doubt. To convict the defendant in a jury trial, all 12 jurors must unanimously agree on the verdict (see California jury instructions). And the defendant has the right to remain silent. Trials for misdemeanor charges will almost always be held in the Harbor Justice Center unless speedy trial rights require transferring out. 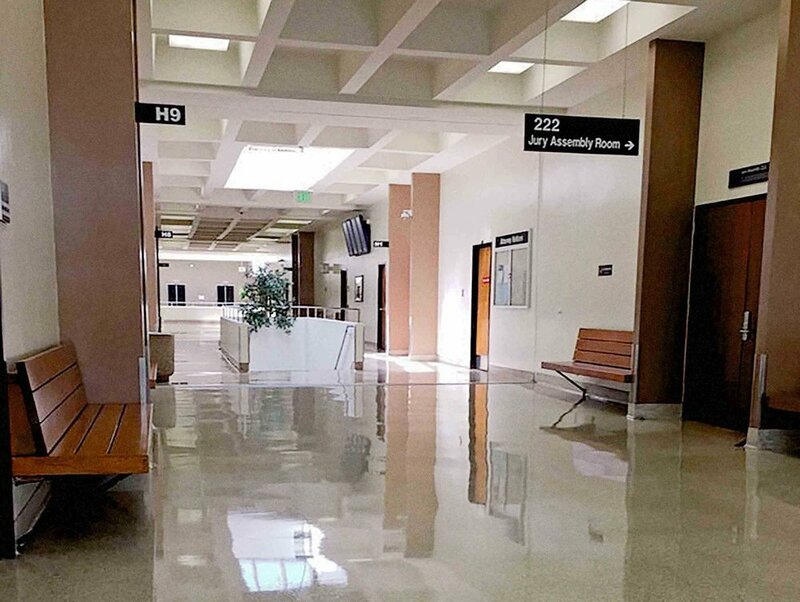 All felony charge trials occur in the Central Justice Center Santa Ana Courthouse. 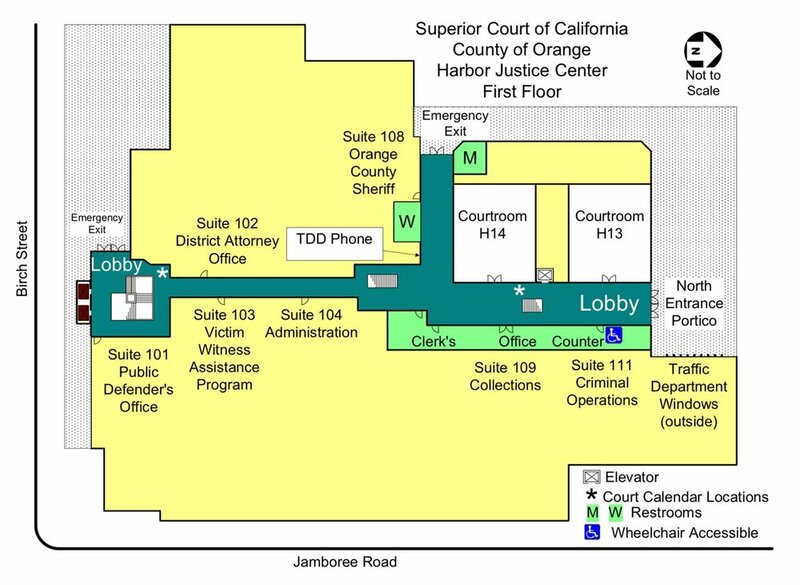 Harbor Justice Center is an Orange County Superior Court, the first level of state court in California that has jurisdiction on all criminal and civil matters. The six California Courts of Appeal have appellate jurisdiction over the Superior Courts in their districts, and in turn the Supreme Court of California has jurisdiction over all state appellate courts. As of 2018, California Superior Courts have 1,732 authorized judges and hundreds of commissioners and referees. Judges are elected by county voters at a general election and serve 6 year terms. The Governor fills any vacancies through appointment. All superior court judges are required to have been an attorney or judge in California and members of the California State Bar for at least the 10 years immediately preceding election or appointment. Harbor Justice Center offers professionally trained staff to interact with your child in a classroom like setting with enrichment activities designed to keep your child occupied while you attend to your Newport courthouse business. Free snacks are provided and the classroom is nut free. Process: To register your child, obtain a referral from the Newport district court bailiff, counter staff, clerk or any Sheriff deputy. No reservations are required. Ages 2 1/2 to 16 years old. The harbor courthouse Newport Beach childcare policy requires that children must be fully potty trained (no diapers or pull-ups). Hours: Open 8:00am to 5:00pm, closed for lunch 12:15pm to 1:15pm. Our lawyers skillfully defend clients facing DUI and criminal charges in the Harbor Justice Center and throughout Orange County & Los Angeles. Our office is located near Harbor Justice Center in Newport Beach. Former O.C. District Attorneys Now Fighting For You. If you have been charged with a crime or DUI and are looking to hire a defense lawyer, we invite you to call for a Free, confidential consultation. 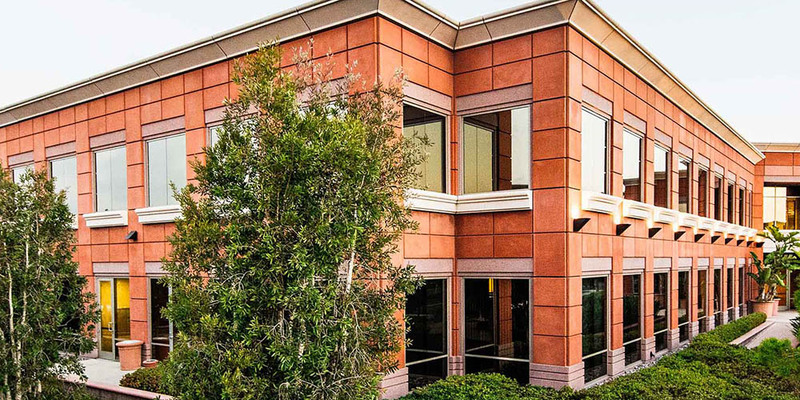 Our office is near Harbor Justice Center in Newport Beach. If you have received a jury summons from the Orange County Superior Court , you can use the eJuror portal to respond to the summons by clicking here. Jurors reporting to the Harbor Justice Center should arrive at the courthouse by 8:00 AM unless otherwise instructed by the voice/web call in message. Report to the Jury assembly room 222 on the 2nd floor. Juror hours are 8:00AM to 5:00PM unless otherwise informed by court personnel. As the temperature in the Newport district court varies with preferences and areas, dress in layers, comfortably but appropriately. Shorts and tank tops are not permissible attire. Check-in begins at 9:30 a.m. It is important to check in so you will receive credit for the day. Jury badge will be provided, which you need to wear at all times during your jury service period. If you lost your summons, present your driver’s license to Jury staff to check in. A badge will be issued to you. A brochure is provided in the jury assembly room to help familiarize you with the requirements of jury service and to find out what will happen. Click here for an online preview of the brochure. Magazines are available in the jury assembly room. They are donated items so may not be your preferred materials. Bring your favorite book or jigsaw puzzle to work on if you like. Restroom facilities are located outside the jury assembly room. At approximately 9:45 AM, a jury staff member will welcome all jurors and provide a brief orientation followed by a video. Click here for a video preview. Courtroom assignments begin after orientation, on most days at 10:00 am. Prospective jurors are randomly selected and sent to courtrooms for jury selection. Jury staff will call the jurors’ names and direct them to the courtroom they are assigned to. The judge presiding on the trial will advise jurors of the particulars of the case, including whether it is a civil or criminal case and how long the trial will last. Once you have been dismissed from a courtroom, you must check in again with Jury staff in the jury assembly room. Courtroom assignments will continue as needed throughout the day. A morning break will be announced as time permits. A lunch break is generally announced at 12:00PM and will last until 1:30PM. Maps to nearby restaurants are available in the jury assembly room. A microwave is available for your use in the jury assembly room. An afternoon break will be announced as time permits. Upon ensuring that no more jury selections are scheduled for the day, prospective jurors not assigned to a courtroom will be released for the day, generally at 4:00PM. This is not a definite time as jurors may be required by the Newport district court to remain available in the jury assembly room until after 5:00PM. On light days, jurors may be released earlier than 4:00PM. A Certificate of Jury Service form will be available in the jury assembly room at the end of the day. If you are on a trial, the courtroom Sheriff personnel or courtroom attendant will provide you with a certificate. The Harbor Justice Center is a Full Security facility. All persons entering the building will be required to pass through a weapons screening device and have all hand-carried objects x-rayed. Weapons of any type will not be permitted into the Justice Center. Items such as: knives, including pocket knives, scissors, corkscrews, mace, pepper spray, knitting needles, etc., which may be deemed potentially offensive and dangerous by the Sheriff's Department will not be allowed in the building. The Orange County Superior Court's term of service is one-day or one-trial. At the conclusion of the initial day of service, jurors not sworn to serve on a trial and not ordered to return for a second or subsequent days of jury selection will have completed their jury service for a minimum of one year. Trials typically last between four and six days. Prospective jurors are assigned to the courtroom at random throughout the day. Jurors should listen carefully for their name when Jury staff announce assignments. Once in the courtroom, the judge will advise the panel of prospective jurors of the particulars of the case, including whether it is a civil or criminal case and how long the trial is estimated to last. Jurors dismissed from a courtroom are generally instructed to return to the Office of the Jury Commissioner. They must check in and will be made available for an assignment to other pending trials unless otherwise indicated by staff. Matters requiring the judge’s and attorneys’ time before the trial can start often arise unexpectedly creating delays in assignments to the courtroom and causing jurors to have to wait in the jury assembly room. Although regrettable, these matters cannot be predicted and must be resolved. The courthouse is a non-smoking facility. Free wireless internet access is available. Jurors only need a laptop equipped with Wi-Fi to access the Internet. They will receive instructions from Jury staff, connect to the wireless network and launch their browser. TV and magazines are available in the jury assembly room. They are donated items so may not be current. In the event of an emergency (fire, earthquake, etc.) Jury staff will instruct jurors on what to do and whether it is necessary to evacuate. Jurors assigned to a courtroom will receive instructions from the Harbor Municipal Court Newport Beach attendant or Sheriff personnel. A Certificate of Jury Service form will be available in the jury assembly room at the end of the day. Sworn jurors serving on a trial will be provided a certificate by the courtroom attendant or Sheriff personnel. Jurors are not compensated for the first day of service. Jurors will be paid a fee of $15.00 a day and reimbursement of 34 cents a mile from their home to the courthouse (one-way) beginning the second day of service, except when the juror is employed by a federal, state, or local government entity, or by any other public entity as defined by Section 241.200 of the Code of Civil Procedure. Effective August 2004, those jurors are no longer paid the juror fee. Payments to jurors are processed bi-weekly and should reach jurors within three to five weeks after their service. Depending on the processing date, jurors may receive several checks in payment for their service. The fee waiver program reduces Harbor Court Newport Beach costs and saves tax dollars since the cost to produce the average check exceeds the check value. Please check with your employer before waiving your juror fees as we are aware that some employers who provide paid jury service leave require that their employees surrender fees paid by the court. For information regarding this program, please see a Jury staff member to waive your jury fees and mileage. When a jury trial is ready to begin, a panel of prospective jurors is sent to the courtroom for jury selection. In the courtroom, they are administered the prospective jurors’ oath, which basically requires them to tell the truth when answering questions. The judge then informs prospective jurors of the particulars of the case. Jury selection begins with 12 or more prospective jurors being called into the jury box. They are asked questions to determine if they are free of bias or whether there is any other reason why any of them cannot be fair and impartial. The judge and lawyers may excuse individual jurors from service for various reasons. The process of questioning and excusing jurors, which may last more than one day, continues until 12 persons are accepted as jurors for the trial. Alternate jurors may also be selected. Unless otherwise ordered, any remaining prospective jurors on the panel are returned to the jury assembly room for another possible jury selection.